Christmas is a magical time and especially for children. 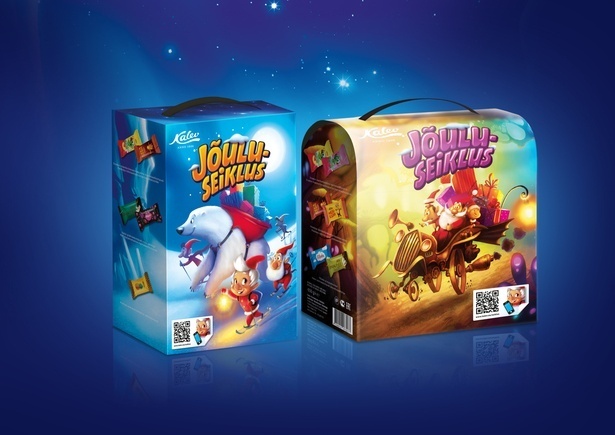 That's why we created this candy packaging series with many special effect and additions. The whole concept was to show elves delivering gifts all over the world. For kids to play along we created a board game. Also all cardboard packages carried a QR code - through this you could download a special augmented reality app to your mobile/tablet to see a real elf and play with him or make selfies.